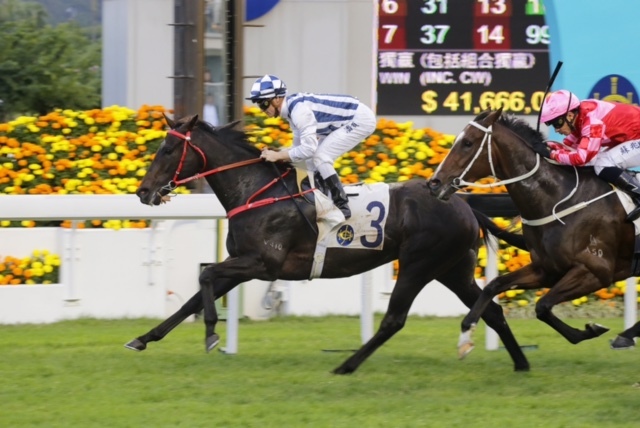 It’s Star Wars this afternoon starring the best four year old gallopers to make the grade in Hong Kong. 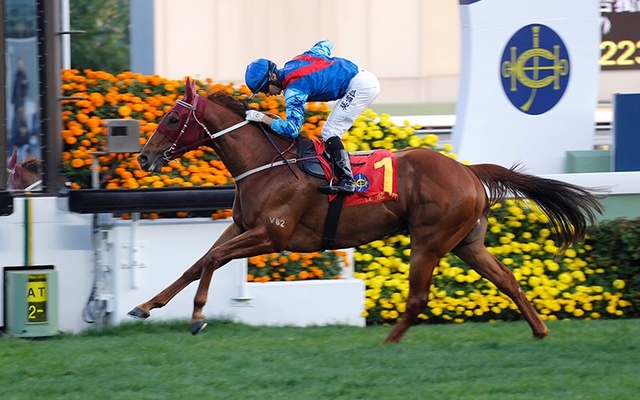 After months of wondering who’ll make the cut, weeks of reading about the runners’ chances from their trainers, and much internalising and analysing and debate between racing fans and friends, we’ll know by around 3.40pm this afternoon who’s won the 2017 BMW Hong Kong Derby. As usual, John Moore has the strength in numbers for the race with his Rapper Dragon described by many as a past the post winner. 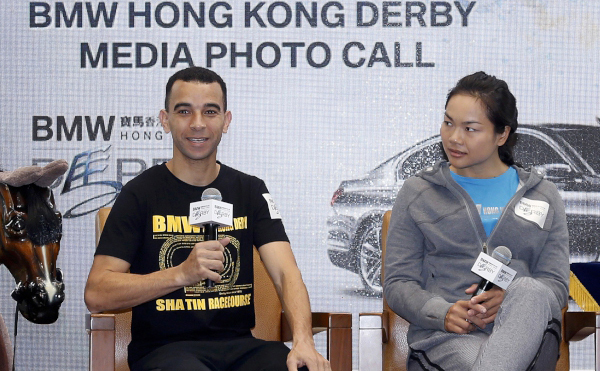 On paper and from the lead up work and jockey Joao Moreira doing a little salsa when the barrier draws were announced, the Rapper definitely looks more Eminem than Vanilla Ice and it would take giant cajones to bet against him. But there’s quite a strong crew out there that will be doing just that: Betting against him. Some are siding with another Moore runner in Eagle Way whereas Team Others are extremely confident that this is the race where the Tony Cruz-trained Pakistan Star finally lives up to all that initial hype and promotional plush toys. The pros and cons about each horse’s chances have been discussed ad infinitum- this one and that one cannot run out the distance of 2000 metres, a few can etc etc. What will be fascinating, apart from the race, will be the post mortems after the race has been run. 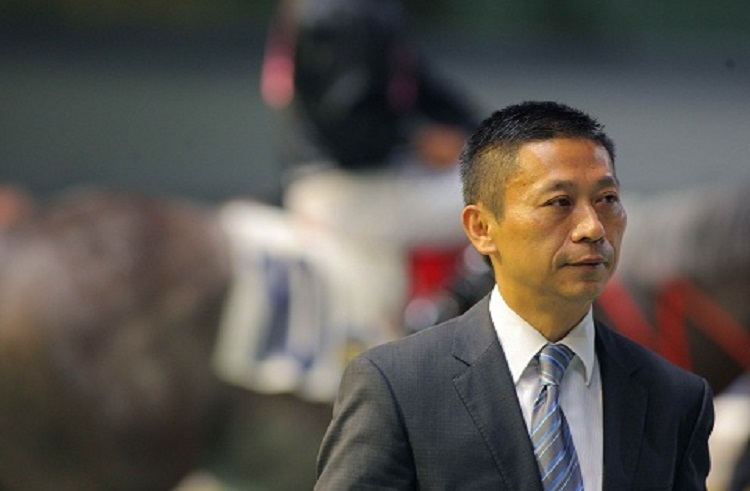 Though the race is dominated by three trainers- Moore, Cruz and John Size- let’s not forget the outsider of this trio- Danny Shum, below, who saddles up the underrated Seasons Bloom. 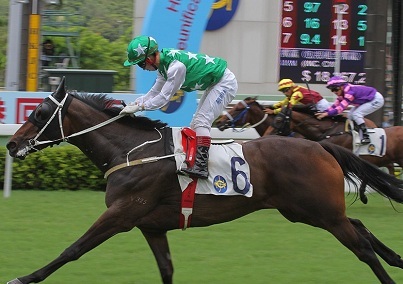 It’s terrific to see Shum having a runner in the Derby. 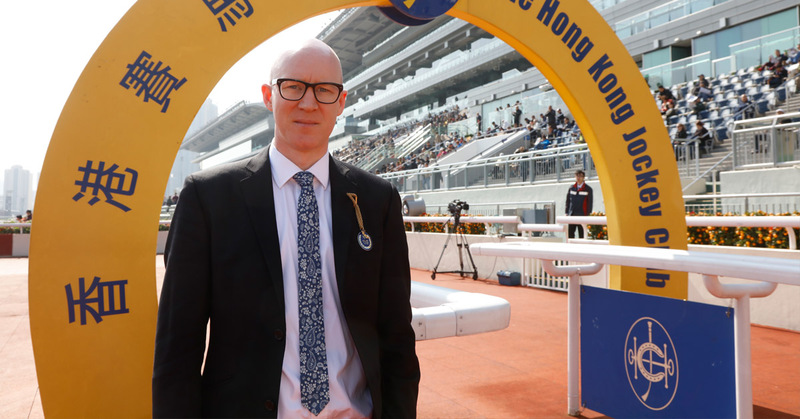 It’s good for Hong Kong racing, and as Shum himself has stated, he wishes more big spending owners spread the wealth around a bit more and create a more level playing field by supporting the better local trainers. 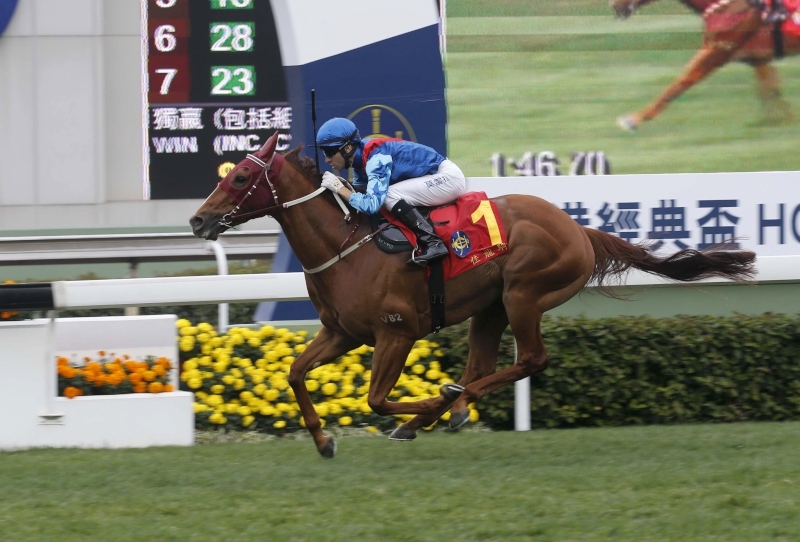 Danny Shum has been having a great season, and despite what the form analysts might say, or completely dismiss, his runner Seasons Bloom is certainly not without a chance of winning. And if it does, we’ll be leading the cheerleaders though, deep down, we would love to see Pakistan Star finally show all the potential he has promised. 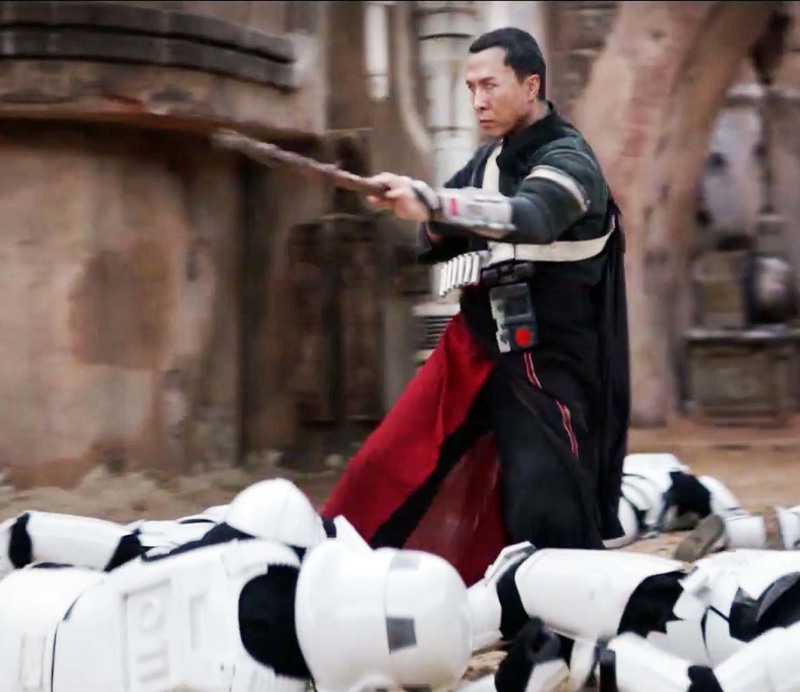 We’re just hoping the best horse wins this year’s Hong Kong Derby and that Derby brand ambassador- Actor Donnie Yen- arrives for the trophy presentation ceremony dressed as Cirrut, the character he played in the latest Star Wars saga. These presentation ceremonies in all racing jurisdictions need a complete facelift- for racing fans and sponsors. Right now, they’re turgid affairs and only serve as photo opportunities for the racing media. They can be so much more. 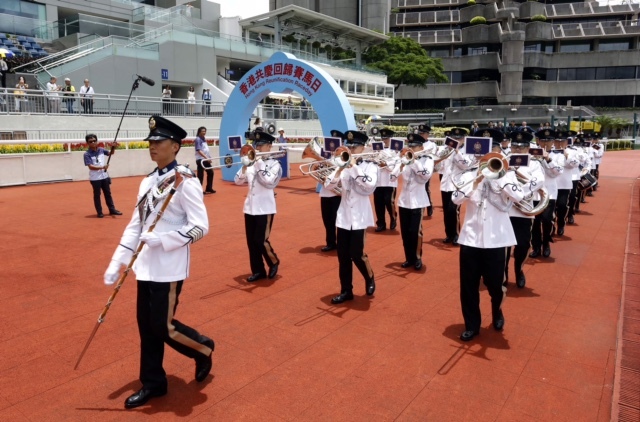 At least we don’t have to listen to the Hong Kong police marching band blaring out their instrumental rendition of the Cliff Richard shocker “Congratulations”. 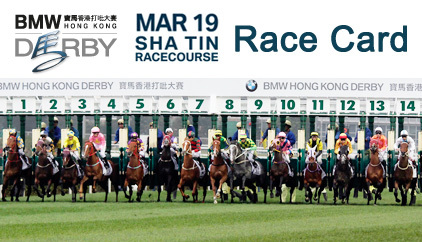 Still, one must be thankful that the HKJC has not allowed racing in Hong Kong to slide down the drainpipe and into the mosh pit of gross ugliness that has in recent months, weeks and days seriously harmed the credibility and integrity of racing in Australia. Mercifully, there was the very gutsy win yesterday of the Gary Portelli-trained and Ben Melham ridden She Will Reign to take out the Golden Slipper, and the sixteenth consecutive win of the mighty mare Winx to help erase some of the negativity that became public knowledge this week. Winx strolling to victory with jockey Hugh Bowman on cruise control on a Heavy 10 track at Rosehill was a joy to behold. 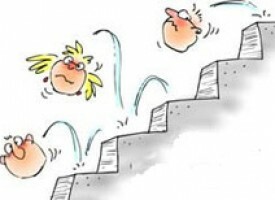 What’s been anything but joyful to watch unfold has been the pitiful “leadership” of almost every supposed racing executive in Australia, and how, with a quiet sweep under the carpet, it’s seemingly “business as usual” when heads should have rolled by now. Many heads, some who received lovely golden parachutes to quietly make well-timed exits when they were fiddling while Rome burned and watched while things were allowed to bumble and plod along during their watch. Apparently, ineptitude is to be tolerated along with sheer arrogance and utter contempt for the racing public. 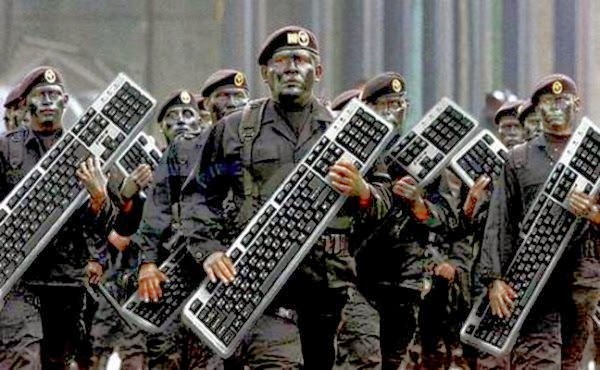 And racing executives and their cronies Down Under wonder why there are so many keyboard warriors absolutely fed up with everything that they take to the racing Twitterverse to call out the Old Boys Club comprising some champion ninnies. How much has this desperate, unnecessarily drawn-out #cobalt witch hunt cost the industry? Direct $ & indirect (integrity/perception). Wouldn’t you be mighty pissed off if you were helping to support an industry that’s looking more and more rotten to the core, and is a sad laughing stock of the entire racing world? Who on earth would want to be part of it? 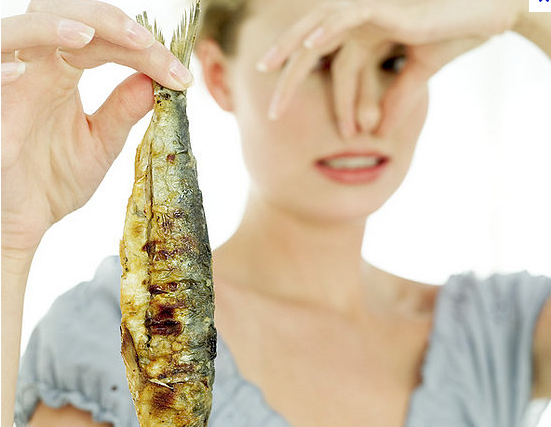 Why would sponsors- or anyone with an iota of common sense- wish to become involved in something so off it stinks from the head down? 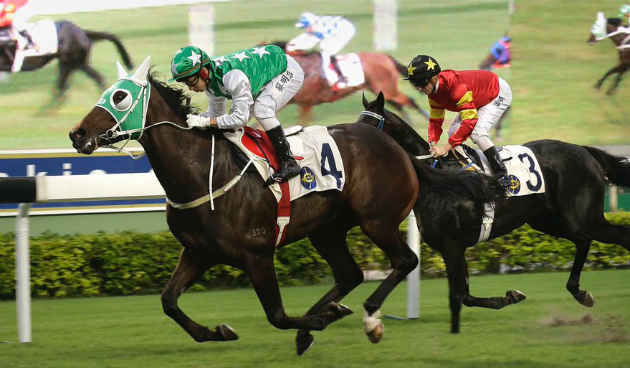 Frankly, compared to the buffoonery and shamateurisms of Tabcorp and Racing Victoria, the infamous Macau Jockey Club with its well-known “business model”, looks like a slick, well-oiled machine managed by some of the most “honourable” people in horse racing. And that’s saying something. 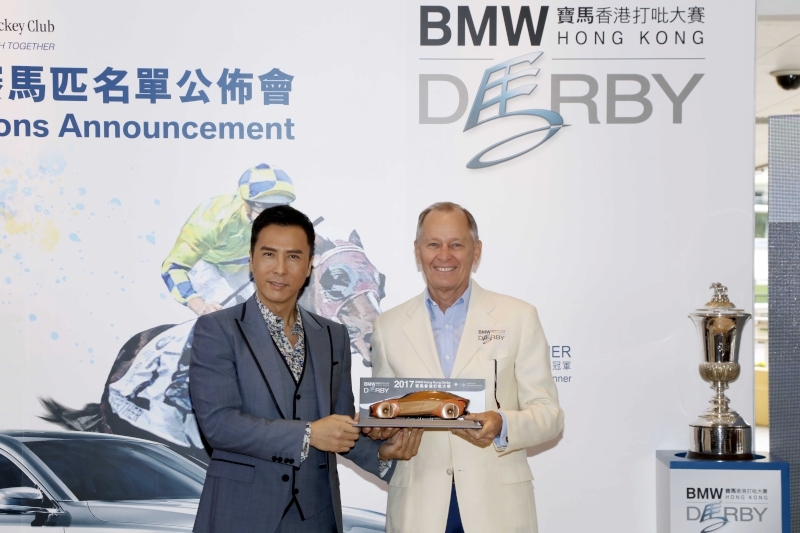 This entry was posted in Australian horse racing industry, Hong Kong Jockey Club, Hong Kong Racing, Horse Racing, HORSE RACING AND SOCIAL MEDIA, JOAO MOREIRA, JOHN MOORE and tagged 2017 BMW Hong Kong Derby, ALAN AITKEN, Ben Melham, Danny Shum, David Morgan, Eagle Way, Gary Portelli, HKJC, Hong Kong Derby, HUGH BOWMAN, Joao Moreira, John Moore, MACAU JOCKEY CLUB, Pakistan Star, RACING VICTORIA, Rapper Dragon, Rosehill, Seasons Bloom, She Will Reign, Tabcorp, Tony Cruz, Winx. Bookmark the permalink. I have one serious question: did any of Tabcorp ‘s contraventions result in terrorists being funded? It’s a serious question and an answer is required.